The nights are getting longer, the days are getting shorter, and there doesn’t seem to be an immediate end in sight. Sometimes you just have to flop down and refuse to get up until someone starts petting you. Anyone in the market for a Lab mix, only slightly deflated? 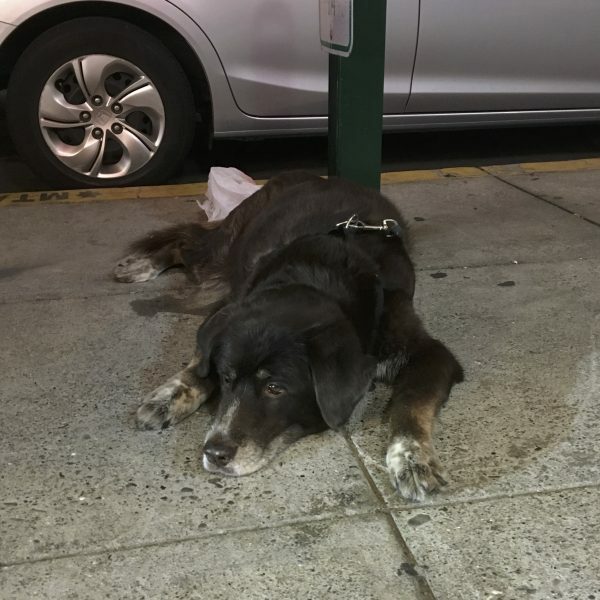 This entry was posted in Dog of the Day and tagged Labrador Retriever, Mixed Breed, Near Home, Nob Hill. Bookmark the permalink.